SDO mobile will also release the Firefox OS based smart watch after the Android based one. SDO mobile published that they will release the Android based smart watch a few days ago, but they said that they will also release the Firefox OS based smart watch in near future. They said that they will release its Android based version in June, but the release date of its Firefox OS version isn't still decided. 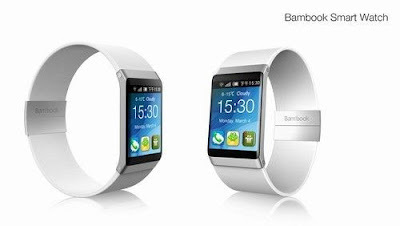 This smart watch is named "Bambook Smart Watch", and it has the features of networking, SMS, GPS, the recording data or informations and so forth. Furthermore according to the news, it has the cooperation feature with some consumer electronics. SDO mobile have provide e-book for a long time in China, and they are the leader of this market. But as I explained before, the growth speed of the e-book market in China is too slow, so they also provided the Android smartphone "Bambook smartphone" as their new business. Recently, Apple's iWatch has draws some people's attention in China too, but we have to watch whether their smart watch also will have draws people's attention or not.